An initial report found an uncontrolled release of gas appeared to be the cause of the Jan. 22 explosion of an Oklahoma drilling rig. A second wrongful death lawsuit has been filed over a natural gas rig explosion in January near Quinton OK, that killed five workers. 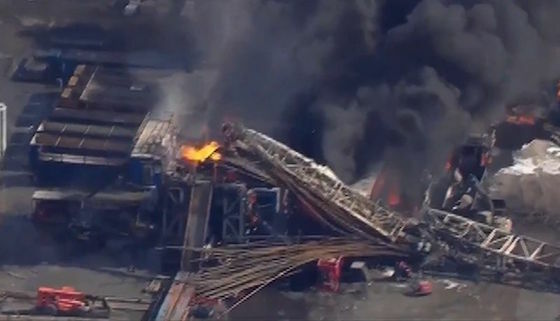 The initial incident report into the explosion indicates there was an uncontrolled release of gas that caught fire and that a worker at the scene tried unsuccessfully to shut down the well. Patterson-UTI hasn’t responded to a request for comment, but previously said it’s committed to preventing future accidents. An attorney for Red Mountain hasn’t returned a phone request for comment.